If you’re a sports fan…specifically a football fan, how can you not love college football? The great thing about this game is there is no pre-season “warm up” period...you had better be ready on day one or your chances at a national title can be over on the first weekend of September. Unlike the NFL when a team can make the playoffs and have a shot at winning the Super Bowl with a record slightly better than .500, one loss in college football and your dreams of a title can end very quickly. Of course, a team can make it to the title game with one loss, but if you’re in a non-major conference, such as the Mountain West, your chances are extremely slim. So here we are at the end of the first weekend of college football and standings are already starting to take shape. The biggest match up of the weekend had to be #3 Oregon at #4 LSU. For me, there were no surprises in this game. The SEC has been the dominate conference over the last six years and there is no doubt they will be the favored conference to win yet another National Championship. LSU controlled this game and revealed Oregon as a much weaker team than what we saw in the national title game last year. The big question is just how good is LSU? That question may not be answered until November 5th when the Tigers travel to Alabama. The most entertaining matchup of the week was #14 TCU at Baylor. What a high energy game. These are two teams that will definitely entertain sports fans all year with their high-powered offenses. Baylor won this game in the closing minutes and the teams in the Big 12 had better be prepared to deal with this incredibly fast team. The biggest upset of the weekend had to be USF upsetting #16 Notre Dame in Indiana. I must admit I always like seeing the Irish lose early (and often! ), but I was surprised by the outcome of this game. There’s been much talk over the weekend about the game delay and how that hurt ND…well the last time I checked both teams were dealing with the same weather delay. ND will try to bounce back from this loss against Michigan next week. This brings us to the most interesting matchup of the week. Once again, everyone will be wondering if #5 Boise State is the real deal. Well if the week one match up with #19 Georgia is any indication, the answer is yes. Could this be the year that the Broncos finally get their shot at the national title? If you look at the remaining schedule it appears Boise State has a great shot at running the table. The biggest matchup and toughest challenge remaining will be TCU on November 12th. This game will be played on the blue turf and the Broncos just don’t lose at home. 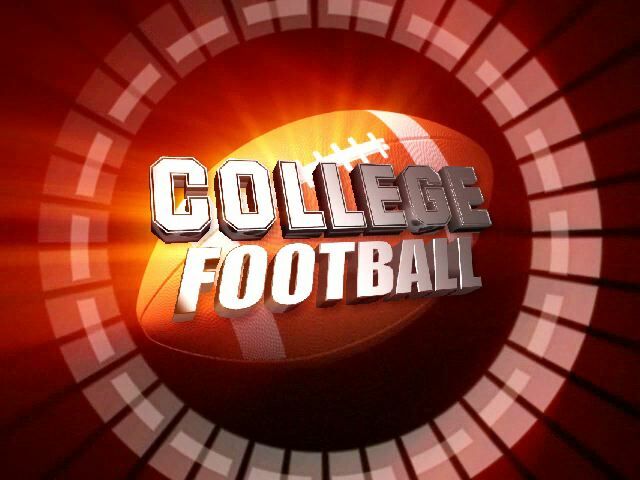 So what will week two have in store for the college football fanatics out there? There are four must see games this weekend. The first must see is Mississippi State at Auburn. If this past week was any indication of the anticipated level of play during week two, MSST should run all over Auburn. South Carolina will visit Georgia in the second big match up of the week. Georgia is in a must win situation already. I think Georgia will be too much for the Gamecocks and the Bulldogs will get back on track. Notre Dame will take on Michigan in Ann Arbor. Notre Dame will have a ton of pressure going into this game. The Notre Dame faithful are tired of mediocre seasons, but I feel they need to prepare for another year of disappointment. Michigan will win this game and put Norte Dame in the hot seat spotlight once again early in this 2011 season. The last must watch matchup is #2 Alabama at Penn State. These are two historic teams and this will be a good early season test for Alabama. Alabama is the team to watch this year. I felt they were the best team in the nation last year and I believe they will be again this year. I expect Alabama to have an undefeated season and once again put the SEC in line for another national title shot.